That is the word that comes to mind when I think about the past 7 days. This week has been one of the busiest all summer…..but I guess that’s to be expected right before school starts back up. Last Sunday, Ryann came home after spending a week at her father’s house and we jumped right into the excitement of the week. Monday we spent a few hours with some close friends from church and I personally relished the visit because we won’t have as much of an opportunity to attend this weekly gathering once we start our school schedule. Tuesday was a somewhat quiet day spent at home that consisted of me finally finishing our lessons plans for this year. Knowing that I will most likely not always have the discipline to sit down on Saturday or Sunday nights and write out lesson plans for the upcoming week, I decided it would be best to get it all out of the way and have them completed before school started. It was a lot of work upfront, but I’m certain it’ll be worth it in the end. Wednesday was an exciting day here at our house because we discovered that we will be adding a new family member in about 9 months. I’m sure that there will be LOTS more to come on that subject in the future. We are all very excited and happy!! Thursday was another full day of summer time fun. I took the kids out to a friend’s house where they swam for about 5 hours while Husby went and played a round of golf with a buddy. Then Ryann and Kamri had the privilege of having a sleepover while Husby, Bubby, and I came home. Friday was Husby’s birthday so he got the extra special treat of another day of golf followed by a birthday dinner at my parent’s house with my family. And Saturday we celebrated ALL of the August birthday’s at my brother and sister-in-law’s house with A TON of food, swimming in the lake, playing on the trampoline, and basically just hanging out with friends that we haven’t seen in way too many years. Needless to say we were all completely and utterly worn out by Saturday night. In fact, by 9:00 I was playing referee to children who were irritable and fighting…..and it wasn’t easy because I was pretty exhausted myself. Today starts a new week ~ and I for one could really use a chance to relax. But today is my last day to get everything “prepped” for school to start tomorrow morning. The good news is that, because we are a homeschool family…..we can ease into our first day of school and really enjoy the time spent together. So, that’s pretty much it for this “Week In Review”. 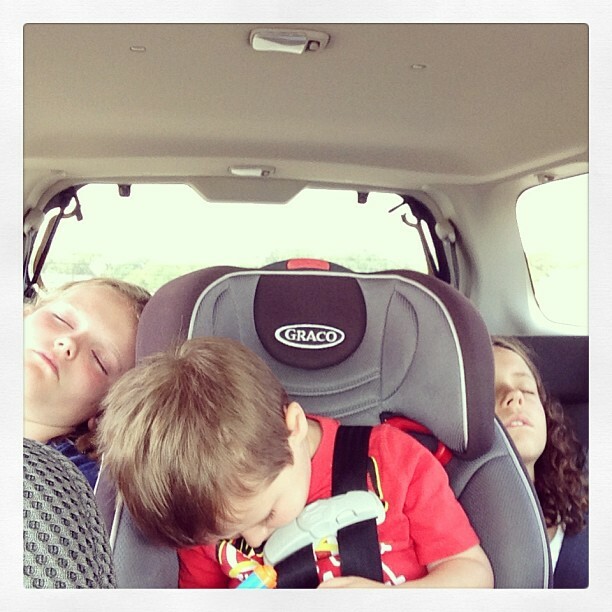 As you can see, we were really busy…….but we are all so fortunate to be living in his blessings.